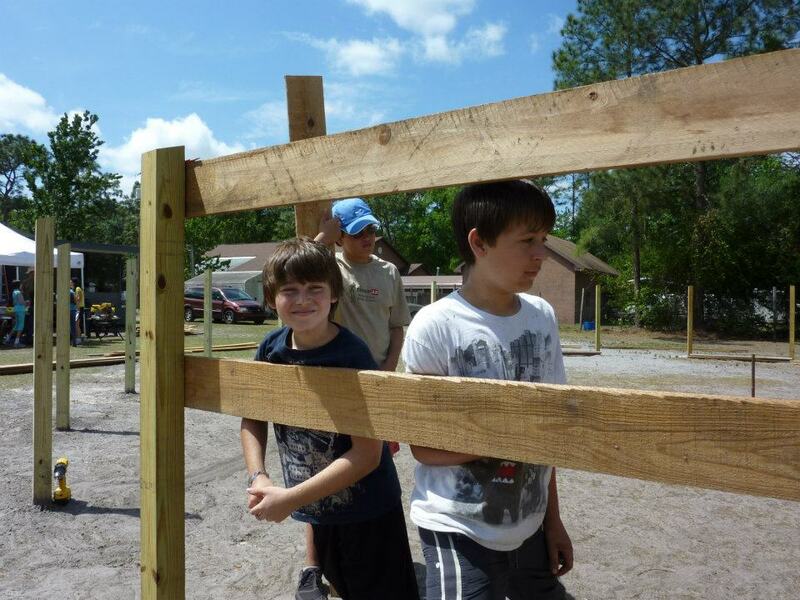 Troop 22 Keiler's Eagle Project......Building our much needed round pen! 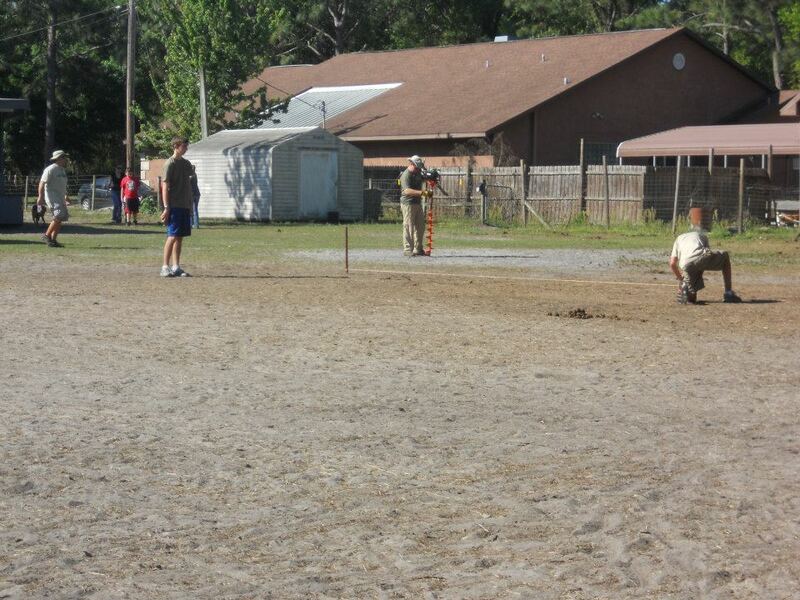 For two years we have prayed for a round pen. 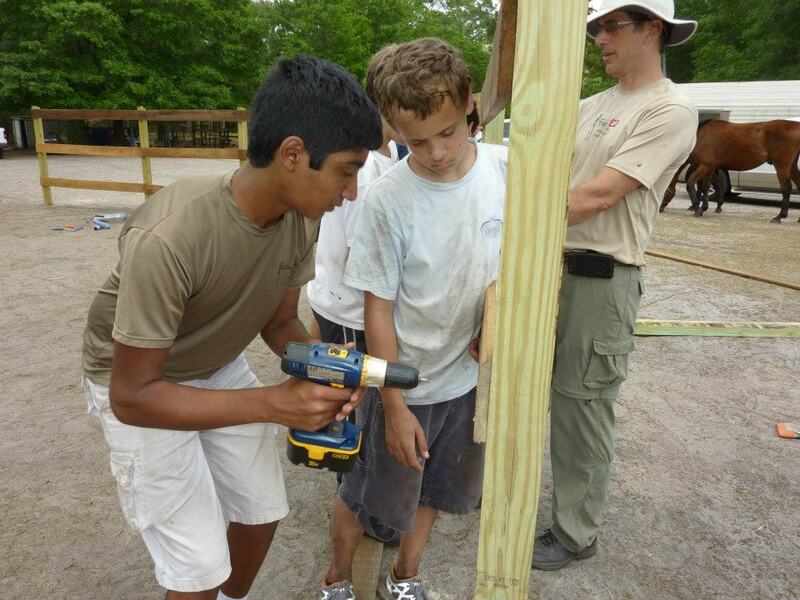 For two years young men from Troop 22 have visited here and given of their valuable time, love and labor to help in our mission of saving horses from abuse, neglect, the slaughter pipeline and aiding special needs children. When Keiler learned over a year ago how badly we needed this round pen to train horses and allow older special needs children the benefit of being able to take riding lessons and obtain self confidence through riding alone, the desire to help began to grow. 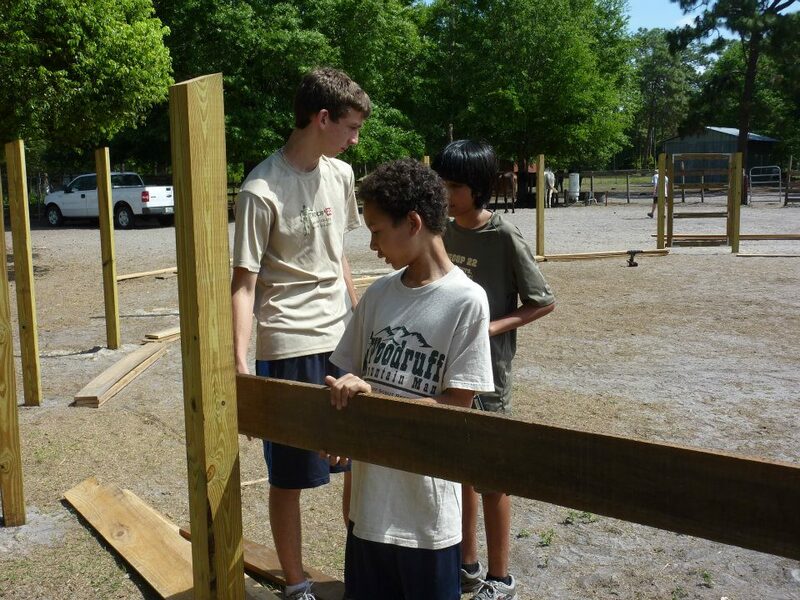 Keiler decided that we would indeed have our round pen as his Eagle Scout project. The design and the beginning of gathering donors for supplies began for Keiler. 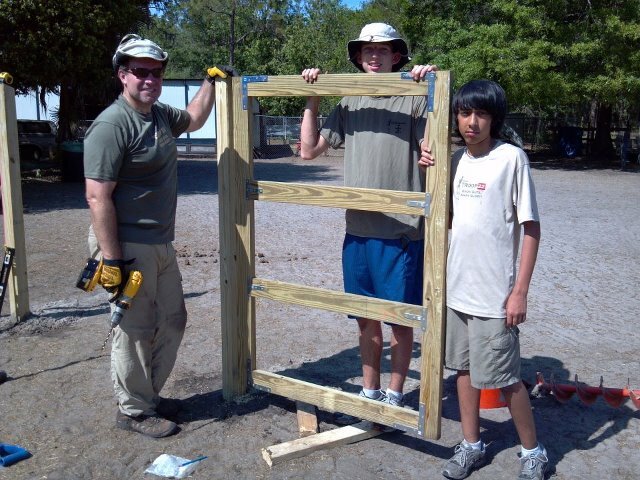 He worked diligently to obtain all needed for a round pen that would have cost well in excess of $1500.00 to build easily. Money we could ill afford to take away from caring for the horses. He approached businesses, no easy feat and was determined to see this dream come true for our Rescue. 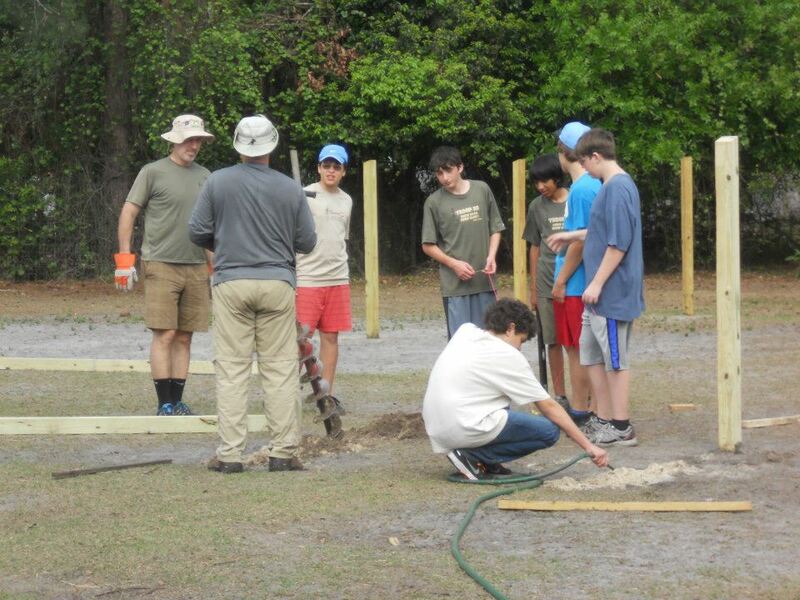 Below you will see what a Troop of Boy Scouts did by themselves with dedication, devotion, integrity and hard labor. 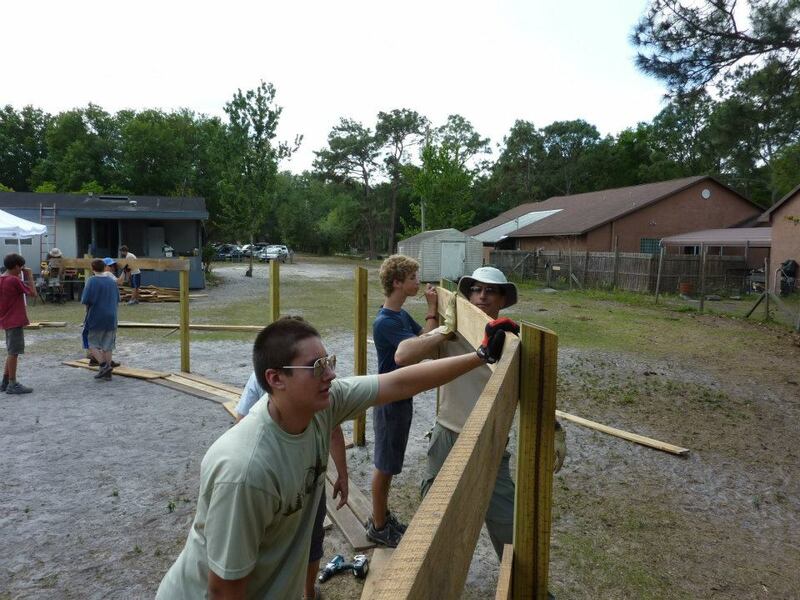 Every board was put up with honor and love for those less fortunate !! There will never be a day that goes by that a thank you will not be in our hearts, our minds and forever changes lives of horses and special needs, or at risk children! May God always be beside each of you young men, keep you safe and bless your lives, as you have blessed so many! 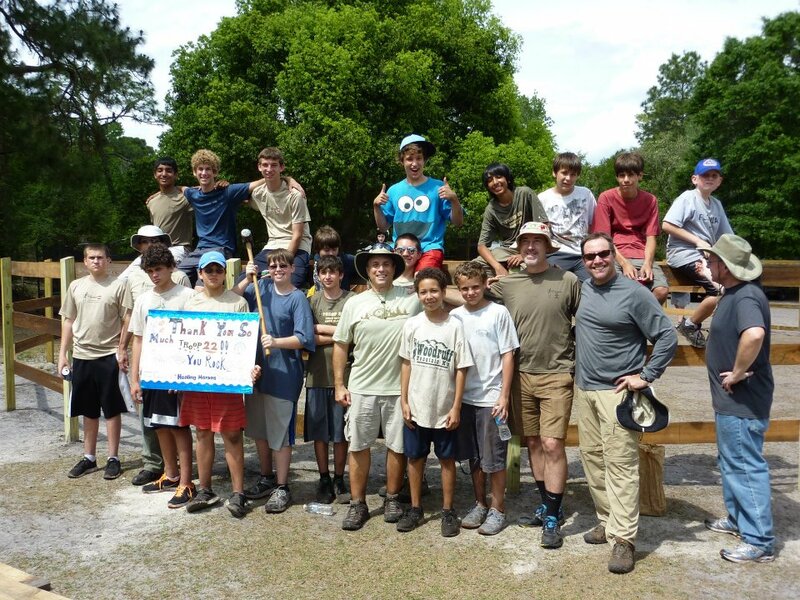 ​Troop 22 has returned each year with an Eagle Project and removed to date 61 dead trees killed in severe flooding here. 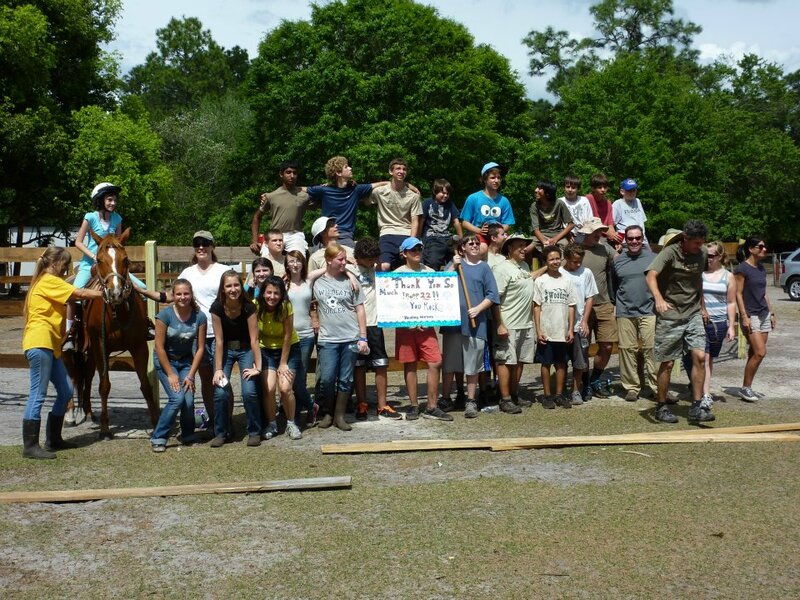 They constructed a fence around our playground area and continue to show love and support for the horses and children here at the farm.